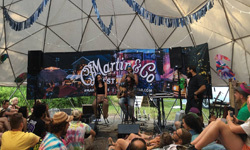 Thanks for being a part of the 2018 Frendly Gathering! 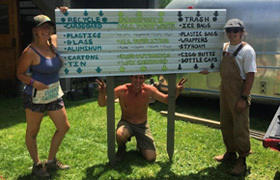 Our greening initiative is a collaboration amongst the Frendly Crew, Artists, Vendors, Attendees and the Mad River Valley Community, If we all work together, we can keep Sugarbush, a clean and beautiful environment for everyone to enjoy throughout the weekend. We want to thank all of the vendors for complying with our sustainability initiative for last year. 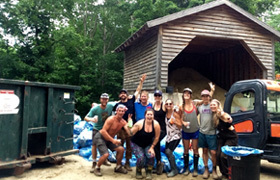 We were able to compost over 3,460 pounds of compostable material, and we want to continue to divert as much waste away from the landfill as possible. Again for this year, we are requiring all vendors to serve only on 100% compostable flatware. We are very excited to announce our continued partnership with Eco-Products. All vendors will be able to order through our very own Frendly Portal. This will help ensure that everything is compostable. If you have any questions, or can't find what you are looking for, please reach out to Marina, the Sustainability Director for Frendly Gathering.